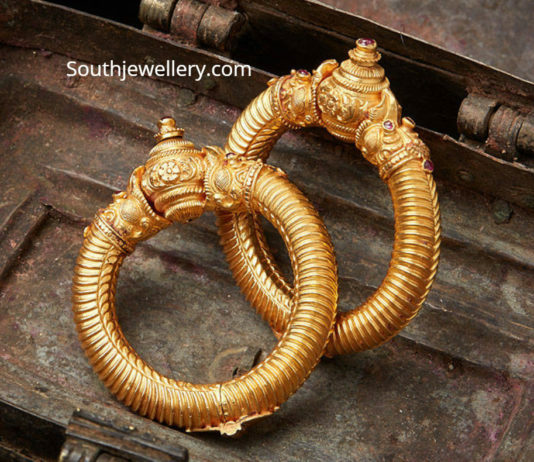 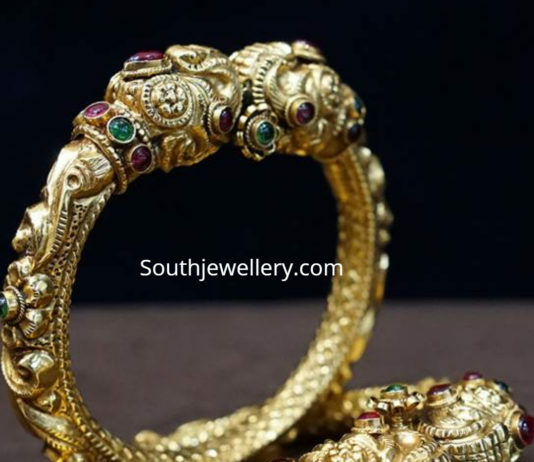 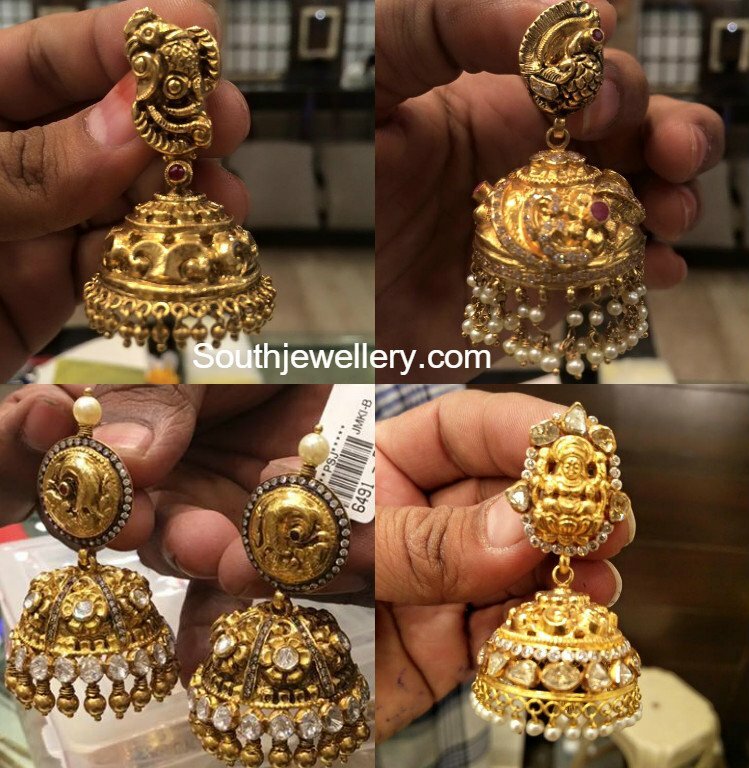 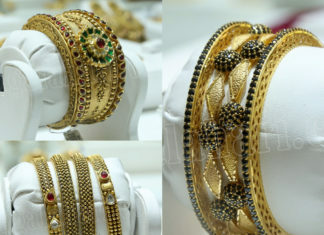 22 Carat gold antique bangles studded with kundans by GRT Jewellers. 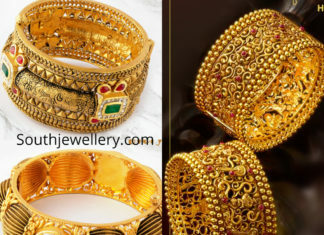 22 Carat gold antique bangles collection by Malabar gold and Diamonds. 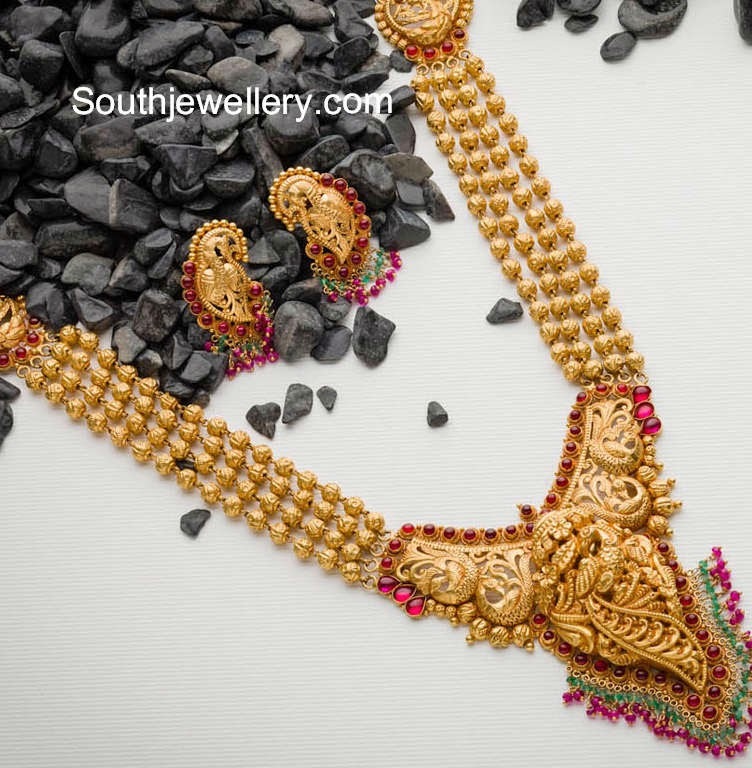 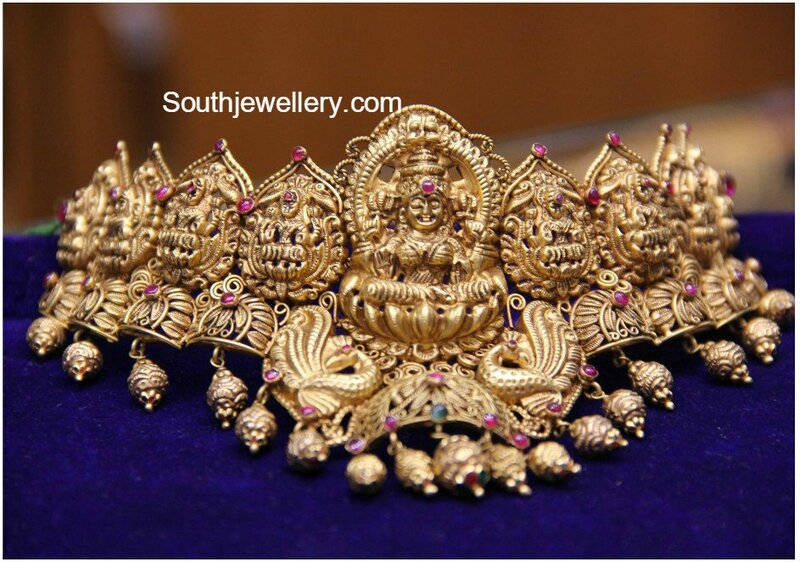 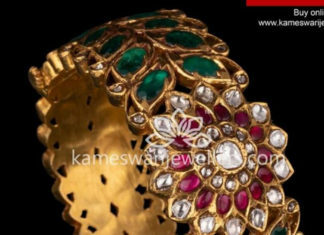 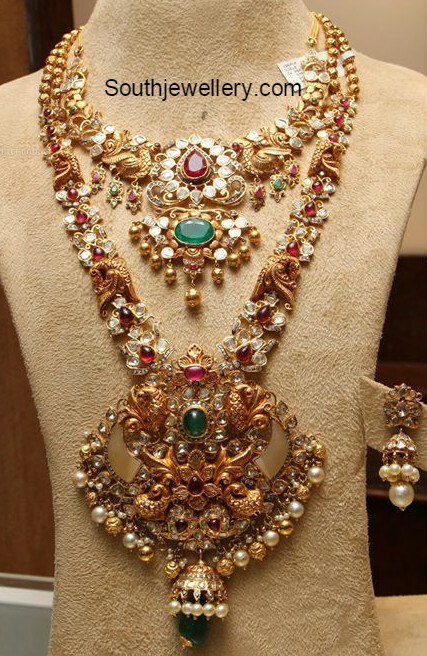 22 carat gold antique kada studded with emeralds, rubies and polki diamonds by Kameswari jewellers. 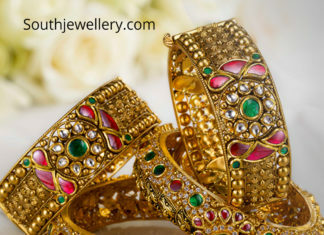 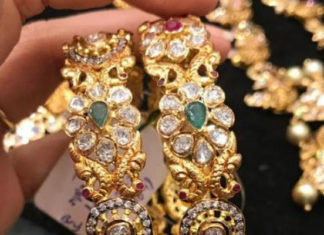 22 Carat gold peacock design bangles studded with polki diamond bangles, rubies and emeralds by Premraj Shantilal jewellers.